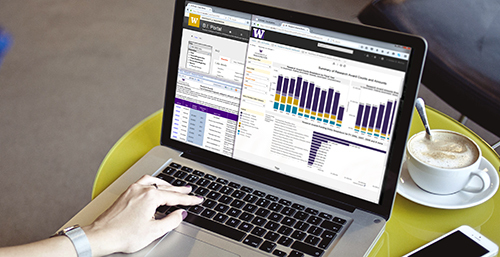 Research Administration Data (RAD) is available in a variety of formats on UW’s Business Intelligence (BI) Portal. RAD is built using research data captured from UW’s System to Administer Grants Electronically (SAGE). 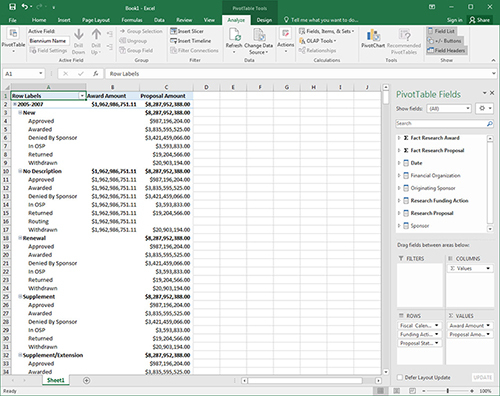 SAGE data is exported to the Enterprise Data Warehouse (EDW) and represented by three comprehensive BI Portal reporting tools: Reports, Visualizations and Cube. Which grants during last fiscal year were allocated to our college and by what subdepartment? How do the last three fiscal years compare with respect to grant awards/proposals? Are industry grants in my department going up? Are there year-over-year award changes in my college/department? How many proposals involve human subjects? Within my department/college, who is submitting proposals and for how much? Look at a cross-cutting view of proposals and awards across departments or within departments. 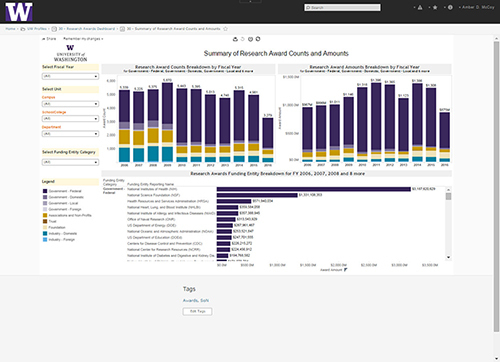 Quickly see trends and outliers in funding and conduct customized analyses. Forecast future funding opportunities based on success factors. 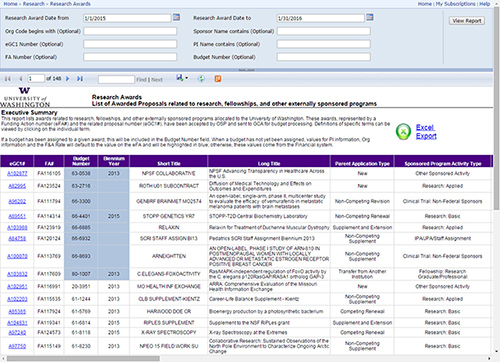 All SAGE research administration data, compiled into a cube, available for analysis and customized report building. New Research Administration Data courses are now available.